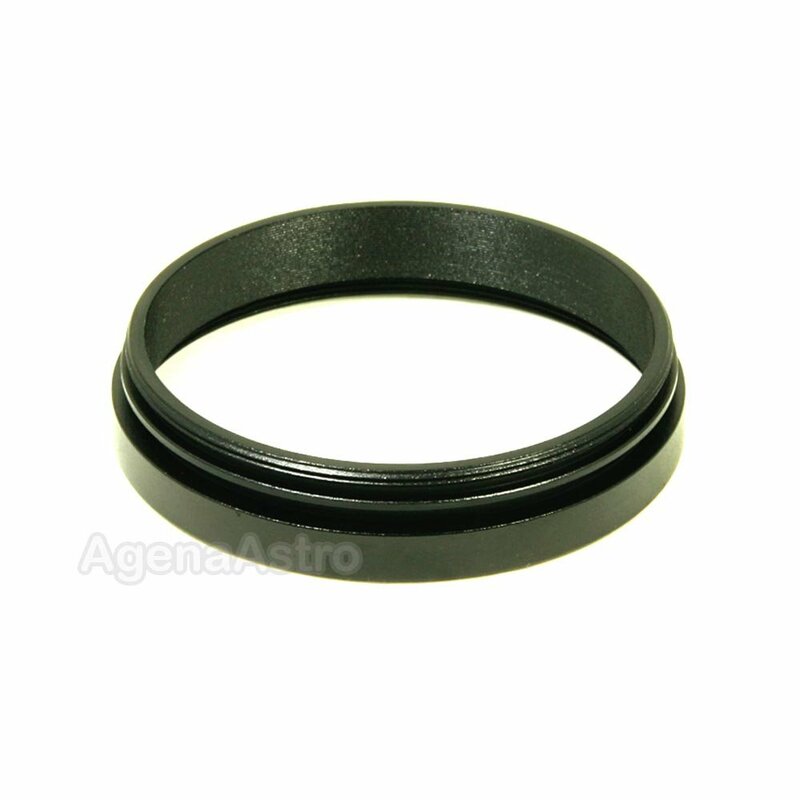 This adapter attaches to the M54 thread under the eyeguard of the fixed focal length Hyperion eyepieces and extends the length of the thread on the eyepiece. This is required in some configurations to eliminate vignetting when Baader's Digital-T adapters are used for afocal projection photography. Review by shoelessjoe of North, GA. Still looking for a camera to use with it, Agena is a great company to deal with.